Since the early days of the Columbia Basin Project, Grant PUD has partnered with farmers to provide reliable and inexpensive power to run the pumps and equipment that keeps Grant County's farmers growing. Scroll down for irrigation rates. Rates are set by Grant PUD's elected Board of Commissioners and are subject to change at the commission's discretion. 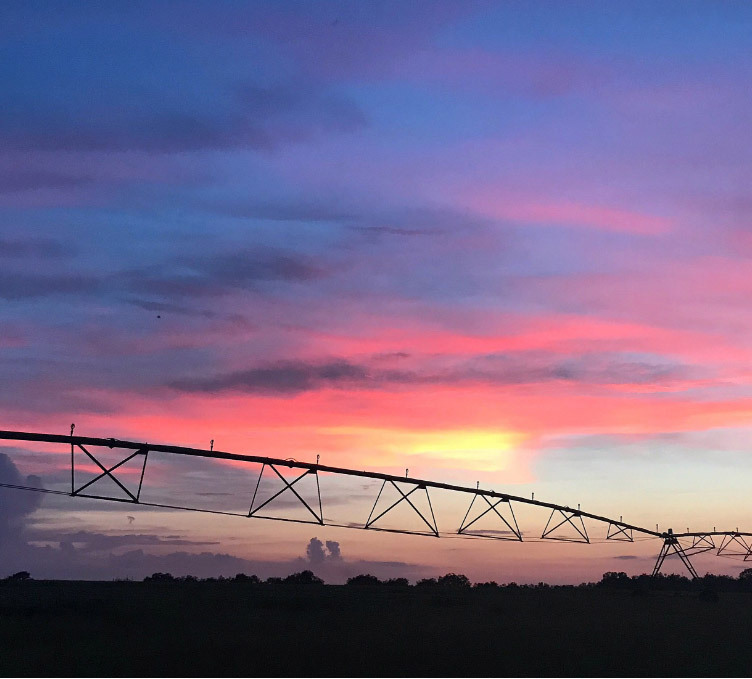 This rate is for customers with irrigation, orchard temperature-control or soil-drainage loads not exceeding 2,500 horsepower and other miscellaneous power needs, including lighting. For miscellaneous power requirements, customers furnish any additional transformers and other equipment necessary. A grinder, chopper, welder, etc., may be used on a limited-operation basis, provided a double-throw switch or other suitable device is installed that will disconnect one piece of equipment from the line while the other is in operation; provided further, that the load so connected is less than the primary load. Customers receiving service pursuant this rate schedule shall be required to pay charges as set forth below. The Capacity Charge is a recurring charge based on the customer’s billing horsepower. The customer’s billing horsepower is equal to the sum of the horsepower ratings of all of the customer’s equipment that may be operated at the same time under one meter. In no case will charges be based on a customer’s billing horsepower of less than two horsepower for single-phase service, nor less than five horsepower for three-phase service. Whenever horsepower requirements, as calculated from the metered demand, exceed nameplate horsepower ratings of the operating load, Grant PUD may base its charges upon those requirements. The Capacity Charge is based on a seven (7) month irrigation season and is billed monthly. The Energy Charge is based on the number of kilowatt hours consumed by the customer during the billing period at the rate shown in the shaded box to the right. The Energy Charge is billed monthly over the seven (7) month irrigation season. The Basic Charge is based on a seven (7) month irrigation season and is billed monthly. The Monthly Minimum Charge is the monthly Capacity Charge and $29.36 per month for single-phase or $41.92 per month for three-phase. The amount of any tax levied by any city or town, in accordance with RCW 54.28.070, of the Laws of the State of Washington, will be added to the above charges. Service provided pursuant to this rate schedule is subject to terms and conditions of Grant PUD's customer service policies, as periodically amended. This fee Is charged monthly during the growing season of April through October. It is equal to the sum of the horsepower ratings of all equipment that may be operated at the same time under one meter. This fee Is charged monthly during the growing season of April through October. It is a fixed charge based on the cost to bring electricity to your pump. This charge also covers the cost of reading your meter and maintaining customer account records. Meters are read and billed monthly from April to November.